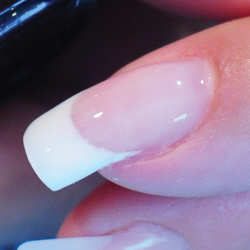 Prepare the nails for an infill or rebalance service. 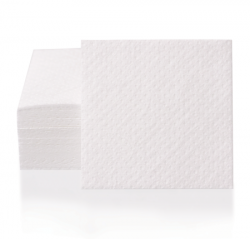 Refine the growth area in a circular motion to thin the enhancement until it is flush with new growth. 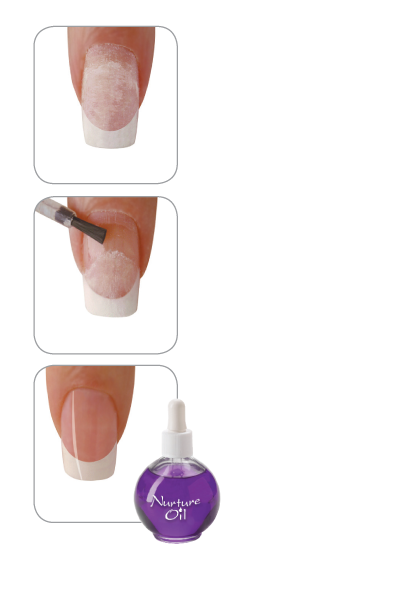 Saturate a Nail Wipe with Nailpure Plus, and scrub the nail to reduce lifting, improve adhesion, and prevent infection. Allow to dry to a chalky white. Apply Line Out sparingly only along the fill line. Allow Line Out to seep under the fill edge. Apply appropriate primer to the new nail growth. Allow to dry 1 minute, they will not appear chalky white. 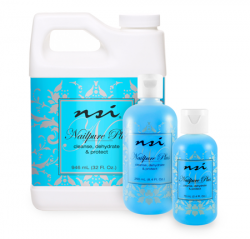 Continue rebalance service with appropriate NSI enhancement product. 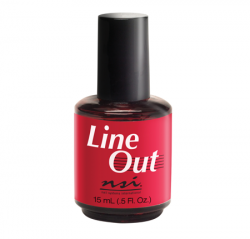 Line Out eliminates the unsightly fill lines, no one will ever know your client came in for a rebalance!